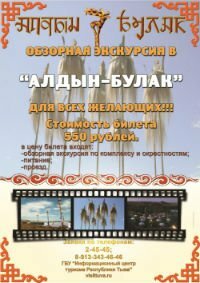 Over 3000 people will take part in the world old-believers Forum 'Avvakum's Path' which opens in Ulan-Ude, capital of Buryatia (Russia), on May 31. Among its participants are Tuva's ensembles - 'Oktai' and 'Vereya'. The two dwell their repertoir on the spiritual song of the old believers collected by the young musicians throughout ethnograpic expeditions in the Upper Yenissei. 9 people were killed, one body not found, as a result of a Sunday night traffic accident in the Republic of Tuva. A GAZ-53 truck sank while crossing the Mogen-Buren River in Mongun-Taiginsky District of Tuva, the local emergency service reported. The driver lost control, and the truck fell off the bridge. The 9th Ustuu-Khuree Festival of Live Music gets ready to receive musicians and public from all over Siberia and abroad. This year venue is of special importance, as Igor Dulush, initiator of the festival, founder of the rock group Internat, ex-boxer and a very observant Buddhist, noted to Tuva-Online. '9 is a sacred figure in the Tuvan World. Thus the ninth festival has to stand out. Besides 100 years ago the Ustuu-Khuree temple (in Tuvan, "Upper Monastery") was built, to the restoration of which the festival is devoted' - he said. The new head of the republican prosecutor's office was introduced to deputies of the Great Khural on May 17 at the joint session of the two chambers. Senior councilor of justice Pavel Bukhtoyarov, 44, was appointed by the order of Russia's Prosecutor General to the Republic of Tuva. After former prosecutor of Tuva Viktor Kizikin retired in February his duties were executed by Mikhail Sanchai. Tuva is in the lead in Siberia by a speedy change of prosecutors. Pavel Bukhtoyarov is the 5th Prosecutor of Tuva in the last 7 years. 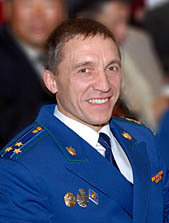 Pavel Bukhtoyarov was born in the Krasnoyarsk Territory. He graduated from the Irkutsk State University and started his carrier as an investigator at the Irkutsk Garrison Military Prosecutor's Office. 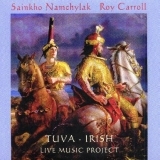 If the collaboration between a Tuvan throat singer and an Irish laptop-ist sounds an unlikely combination, the end results fully justify the experiment; remarkably, the pairing works perfectly. The music here was developed over two years as Sainkho Namchylak and Roy Carroll explored ways to blend their music together in an improvised context. On the opener—“Hill Tara”—Namchylak’s voice, as so often, initially grabs the attention as she displays the lilting, lyrical aspects of her singing, rather than its harsher, more spectacular side. Two Mongolian border guards in Tsagaan-Uul soum, Khovsgol aimag were shot dead on May 5 when they were on duty at the border with Tuva Republic of Russian Federation. B. Monkhoo, a sergeant-major in the same army unit, has been missing since then. The Border Defense Authority (BDA) has said the suspected killer is likely to be heavily armed with 200 combat bullets, and a rifle. He is also believed to have two horses with him.